The IRS is demonstrating vigor in enforcing the rules for 501(c)(3) tax-exempt organizations against influencing elections with its recent revocation of the tax-exempt status of the conservative Patrick Henry Center for Individual Liberty for anti-Hillary Clinton and John Kerry articles posted to the group’s Web site. Perhaps the non-partisan Internal Revenue Service will balance the scales of justice by revoking the tax-exempt status of the Democratic Party front group Media Matters for America. 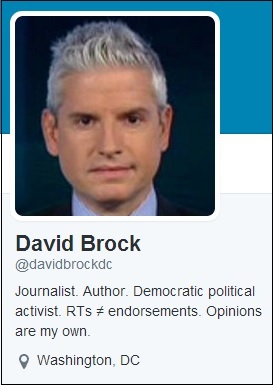 Brock uses the Twitter account to conduct Media Matters business as demonstrated in this tweet cc’d to former CBS News reporter Sharyl Attkisson on Tuesday. A look at Tuesday evening’s home page for Media Matters shows several articles attacking and defending potential 2016 presidential candidates. Curiously, Democrat Hillary Clinton is defended in several articles while Republican Ben Carson is attacked. Several of the recent articles defending Hillary Clinton are listed under the ‘Elections’ page at Media Matters which ought make it pretty clear to the IRS who Media Matters is supporting for the 2016 presidential election.